There’s something magical when you first step out from the tunnel of a baseball stadium on a summer night. The field, as a whole, glows. The grass is greener, the dirt looks clean and the foul lines sharp. The cries of the concession dealers mingle with the excited murmur of the crowd. There used to be places like this in Hartford. Erected in 1874, Hartford’s earliest baseball stadium was the Base Ball Grounds in Colt Park, on the corner of Wyllys Street and Hendricxsen Avenue. This once-state-of-the-art park could hold 2,000 attendees in bleachers and grandstands around the foul lines. Horse-drawn carriages could park at the edge of the 600-by-400-foot field. The sale of liquor and gambling was prohibited. 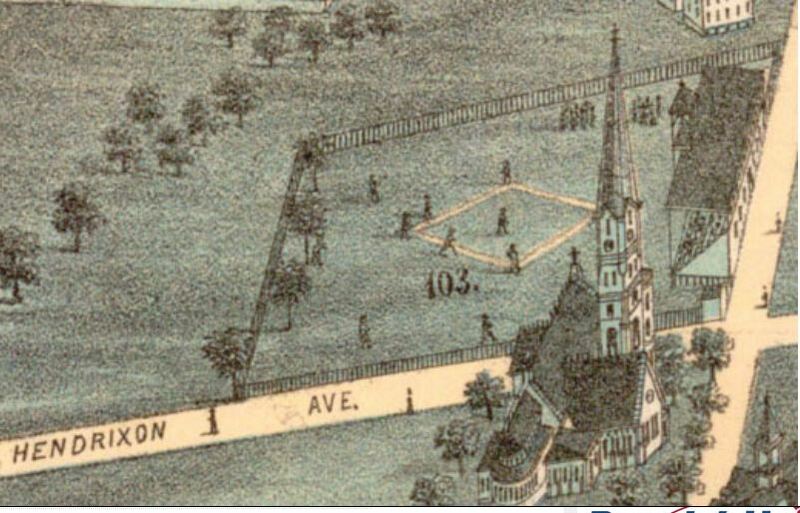 The Base Ball Grounds was the home of one of America’s earliest baseball teams, the Hartford Dark Blues, who were owned by Morgan G. Bulkeley. The team did not last long and moved in 1876. The Dark Blues were the first and last professional baseball team of the city. 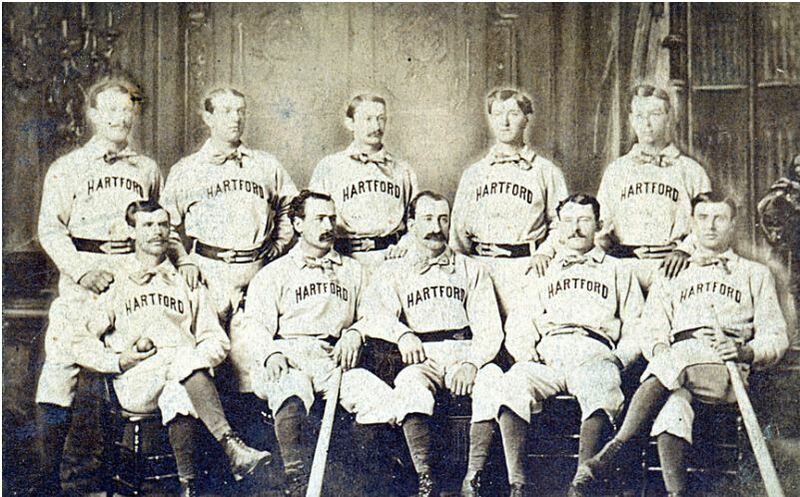 The last semi-professional team was the Hartford Chiefs, who left the city in 1952. Originally built in 1921 as Clarkin Field, Bulkeley Stadium was later renamed after Morgan G. Bulkeley. Bulkeley was the first president of baseball’s National League as well as president of the Aetna Insurance Company, Mayor of Hartford, Governor of Connecticut, and a United States Senator. Located at the corner of Hamner and George Streets, Bulkeley Stadium housed semi-professional teams and future Hall-of-Famers for over 30 years. The field boasted bright lights and covered grandstands on both sides of the infield and bleachers near left field, accommodating more than 8,000 spectators. Catchy, colorful advertisements littered the outfield fence which extended 318 feet to left and right field and 363 feet to center field. Today the only reminder of Bulkeley Stadium is a commemorative plaque marking its former location, but a vintage base ball club now plays near the site of the old Hartford Base Ball Grounds in Colt Park, recreating the original spirit of America’s favorite pastime. O.H. Bailey & Company, and C.H. Vogt & Company. “City of Hartford, Connecticut. 1877.” Bird’s-eye. Boston: O.H. Bailey & Company, 1877. Connecticut History Illustrated, Connecticut Historical Society. Link.